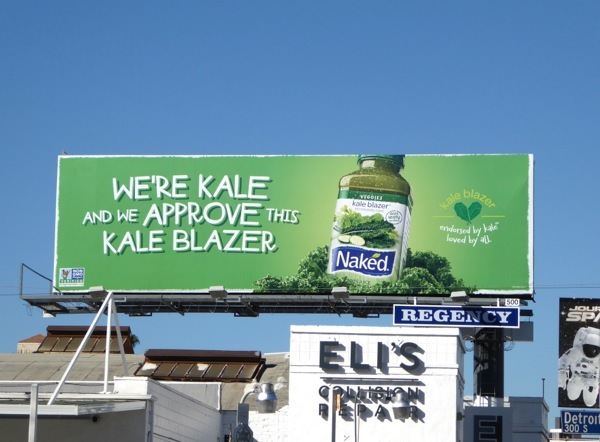 Love it or hate it, Kale is one health fad that seems here to stay (for the time at least), and Naked Juice obviously want to capitalize on the trend withe their Kale Blazer drink, especially in body conscious L.A. 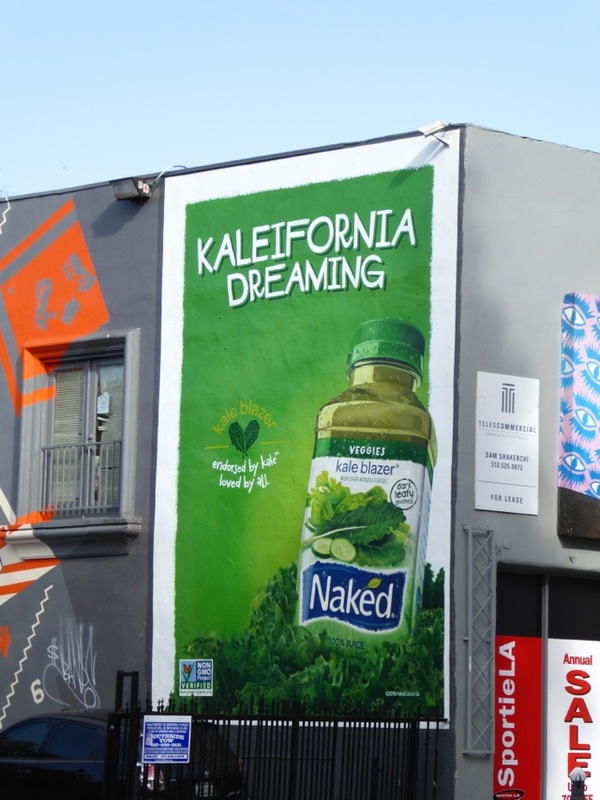 The leafy green is loaded with nutrients and antioxidants, but not everyone may be that keen to munch on it, so here's the refreshing liquid alternative which is also blended with cucumber, spinach, celery, oranges, apple and a touch of lemon and ginger. 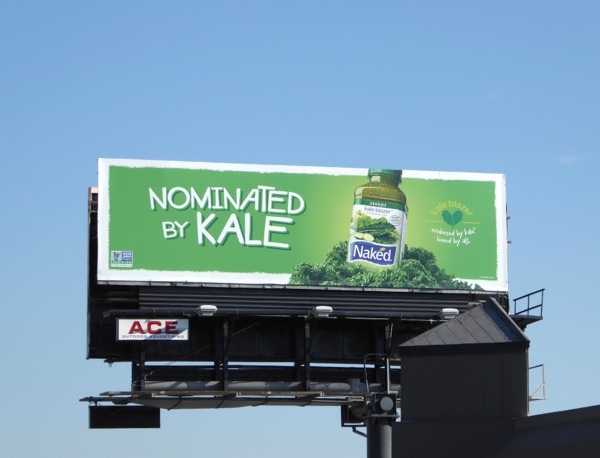 Regardless of its nutritious or health benefits (just keep an eye on the sugar content), everything tastes better with a bit of humour, and so Naked Juice has this fun outdoor campaign presenting Kale Blazer in topical ads about Hollywood's awards season and political presidential campaigning. 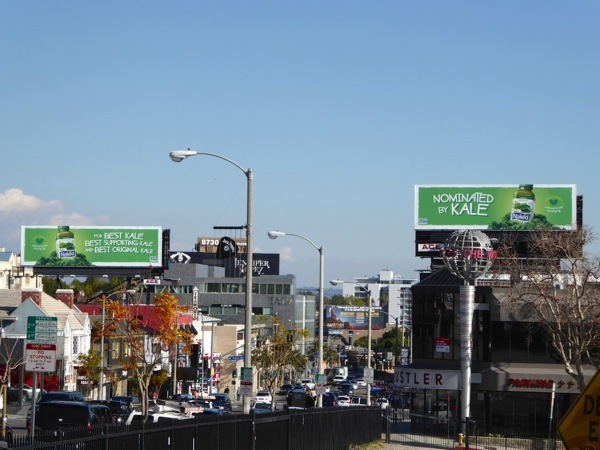 The duo of billboards opposite each other along the Sunset Strip in West Hollywood were snapped on January 8, whilst the 'Kaleifornia dreaming' portrait ad creative was spotted along Melrose Avenue on January 13 and the 'we approve this Kale Blazer' billboard was photographed along L.A.'s 3rd Street on February 5, 2016. 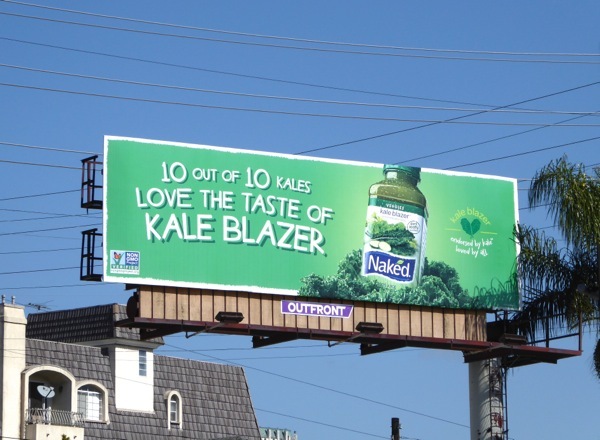 If you like this tongue-in-cheek, vibrant green outdoor campaign, be sure to also check out these locally tailored Naked Juice billboards from 2014. 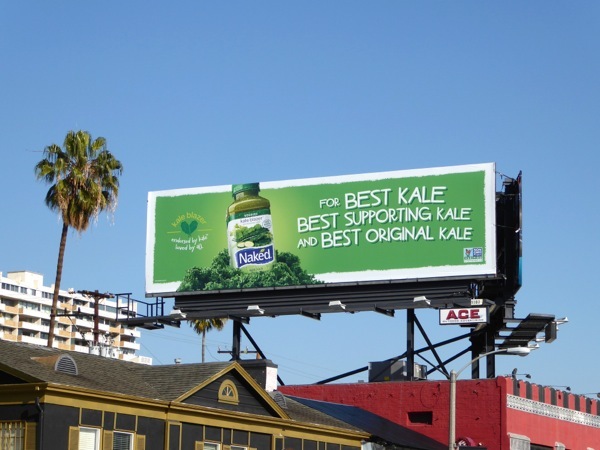 If you prefer your veggies in a bottle on the go, rather than in a bowl (and don't have the time to juice your own drink), then it looks like this may be the green goodness for you. 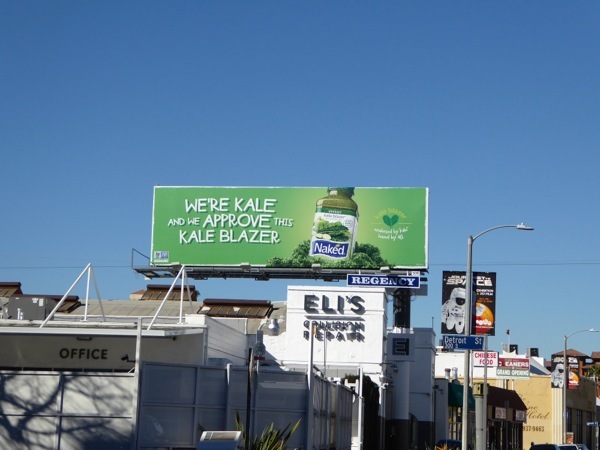 UPDATED: Here's another fun billboard from this Kale Blazer ad campaign, this one was snapped along Santa Monica Boulevard at Westwood Boulevard on March 12, 2016.